Amsterdam is a very welcome, if long overdue, installment in the Akashic Noir Series. This much-anticipated and long-overdue installment in Akashic’s Noir Series reveals many sides of Atlanta only known to its residents. Now, one of the world’s most war-torn cities is portrayed through a noir lens in this chilling story collection. On the heels of Tel Aviv Noir and Tehran Noir, the Akashic Noir Series moves deeper into the Middle East. Lee Child, Eoin McNamee, and others join previous entries London Noir and Dublin Noir in exploring the darkest corners of the United Kingdom and Ireland. Dennis Lehane steps up to the plate as editor and presents a scintillating collection of deep, dark fiction. Boston Noir & Boston Noir 2: The Complete Set combines all twenty-five stories from Lehane’s two Boston Noir volumes into a single digital edition. Dennis Lehane returns to coedit, with Cotton & Clarke, the sequel to the best-selling evergreen anthology Boston Noir, culling classic stories from the city’s dark literary legacy. With Brussels Noir, the Noir Series explores a city that for many is the de facto capital of the European Union, at the crossroads between old and new worlds. The Noir Series dives deeper into Latin America, into a city with a long history, both glorious and sinister. Joyce Carol Oates, Lawrence Block, and others present original stories from the dark side of New York’s second biggest city. Malice and mayhem simmer beneath the surface of one of America’s favorite vacation areas. Nelson Algren, Richard Wright, and Patricia Highsmith are just three of the iconic authors included in this outstanding volume. 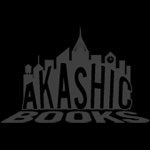 For a limited time, purchase a complete set of Akashic’s Noir Series for $700, and get a signed copy of USA Noir with your order! Scandinavian writing has come to dominate the global crime-fiction landscape, and this volume offers a delicious, devious sampling of why. Texas’s ultimate noir town, where nasty surprises lurk around every turn, reveals its unseemly underbelly. Motor City’s finest literary talents—including Oates, Estleman, Holden, and Parrish—offer a shadowed spectrum of gripping, haunted visions. Akashic recruits Danticat, one of the truly great contemporary writers, to edit this timely volume featuring stories set both before and after the devastating 2010 earthquake. The best anthology of classic Haitian fiction ever assembled, unparalleled in scope. Helsinki Noir joins Copenhagen Noir in representing the Akashic Noir Series in the far north of Europe, exposing its frigid and sometimes frightening confines. The sharpest, most stylized, and ambitious anthology of Native American literature ever published. Readers enter into a welter of troubled history throughout the Americans where the heritage of violence meets the ferocity of intent. Steve Paul recruits Daniel Woodrell, John Lutz, and others in Kansas City Noir, where naked ambition meets broken dreams, and blues and the night go together like rye whiskey, vermouth, and bitters. Following in the Caribbean footsteps of Haiti Noir and Trinidad Noir, now come dark stories from Jamaica’s capital city. In this chilling portrait of America’s Sin City, lady luck is just as likely to dispense cold hard cash as a cold-hearted killing. Serpent’s Tail novelist Unsworth teases, tickles, and horrifies with her stellar curation of London Noir. Los Angeles Noir brings you tales of crime and passion and betrayal from some of the most innovative and celebrated writers working today. Fresh noir from one of the most intense, congested, and overpopulated cities in the world. 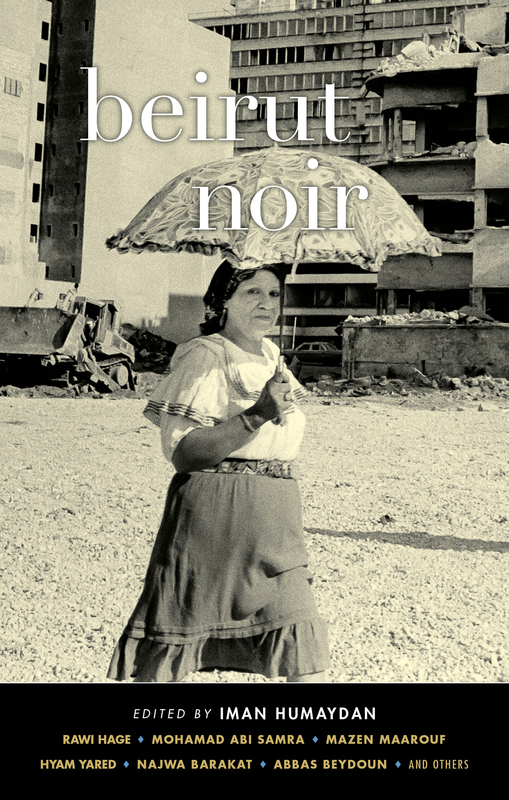 North Africa finally enters the Noir Series arena with a finely crafted volume of dark stories, translated from Arabic, French, and Dutch. Following the success of Paris Noir, the Akashic Noir Series delves into an even darker, more noir French city. A rich volume of Southern urban noir exploring sides of Memphis that only the locals know, but often don’t reveal. Mexico City enters the Noir Series arena, edited by one of Mexico’s most revered novelists. Revealed: the dark and delicious side of Paradise. Grady and Graff, both Montana natives, masterfully curate this collection of hard-edged Western tales. Moscow has been chomping at the bit to enter the Noir Series . . . This anthology fearlessly investigates the darkest recesses of this fabled and troubled metropolis. Amy Bloom masterfully curates a star-studded cast of contributors, including Michael Cunningham, Stephen L. Carter, and Roxana Robinson, to portray the city’s underbelly. Jonathan Safran Foer and Robert Pinsky join Joyce Carol Oates and other illustrious writers to sift through the hidden dirt of the Garden State. For a limited time, we’re pleased to offer a complete set of all five New York City Noir Series titles (one book for each of the five boroughs: Brooklyn, Manhattan, Queens, Bronx, and Staten Island) for only $50, plus shipping! Click the [ADD TO CART] button above to place an order. California’s noir quotient continues to rise with Oakland Noir, which reveals all the dark complexities of this increasingly prominent city. All original stories from Paris’s finest authors, all translated from French. Philly finally enters the Noir Series arena: the City of Brotherly Love becomes a City of Brotherly Malice. Lee Child, Diana Gabaldon, James Sallis, and others reveal how, in Phoenix, sunshine is the new noir. Following the success of Dennis Lehane’s best-selling Boston Noir, the Akashic Noir Series delves deeper into the underbelly of New England. With Rio Noir, the Akashic Noir Series delves for the first time into South America. Rome provides a fertile setting for this groundbreaking collection of original stories, which look beyond the tourist façade to the eerie grandeur and rich decadence of this ever-fascinating metropolis. San Diego may be known as “America’s finest city,” but its deadly alter ego is hereby exposed. Dashiell Hammett and William Vollmann are just two treats in this stellar sequel to the smash-hit original volume of San Francisco Noir, which captures the dark mythology of a world-class locale. Following in the footsteps of Los Angeles Noir, San Francisco Noir, San Diego Noir, Orange County Noir, and Oakland Noir, this new volume further reveals the seedy underbelly of the Left Coast. Singapore is exposed in all of its noir glory with scintillating stories from the very best of the city’s authors. Edited by the best-selling author of The Ice Harvest, St. Louis Noir thickens the Midwest quotient for Akashic’s Noir Series. Following Akashic’s success with Moscow Noir, this new volume explores the dark beating heart of Russia’s cultural mecca. Stockholm Noir joins Copenhagen Noir and Helsinki Noir in powerfully representing the Akashic Noir Series in Scandinavia. Australia can no longer be held back from the Akashic Noir Series; herein, Sydney reveals itself to be a world-class hub of noir. An unflinching noir exploration of one the world’s most volatile cities. Keret and Gavron masterfully assemble some of Israel’s top contemporary writers into a compulsively readable collection. For a limited time, purchase both Dallas Noir and Lone Star Noir together for only $20! Following the success of Montreal Noir and Toronto Noir, the Noir Series travels to the west coast of Canada. Zagreb Noir follows in the footsteps of Moscow Noir and St. Petersburg Noir as the Noir Series delves into Eastern Europe. Now, Berlin’s noir tradition—fueled by history, geography, and various literary traditions—adds up to a powerful volume of riveting short stories. The fourth-largest city in the US is long overdue to enter the Noir Series arena, and does so blazingly. In Milwaukee Noir, a city of manufacturers and booze, as well as a growing immigrant community, makes perfect grist for the Noir Series mill. Ngũgĩ wa Thiong’o anchors this truly fascinating first East African installment in the Akashic Noir Series. The state of Ohio could only escape the Akashic Noir Series for so long . . . and now Andrew Welsh-Huggins leads the charge to reveal the city’s underbelly. Under the inspired curation of Ariel Gore, Santa Fe joins Phoenix as a riveting Southwest US installment in the Akashic Noir Series.